Crestview Senior Football Player and all-around athlete, Stephen Barr has made things official on the day before Valentine’s Day. 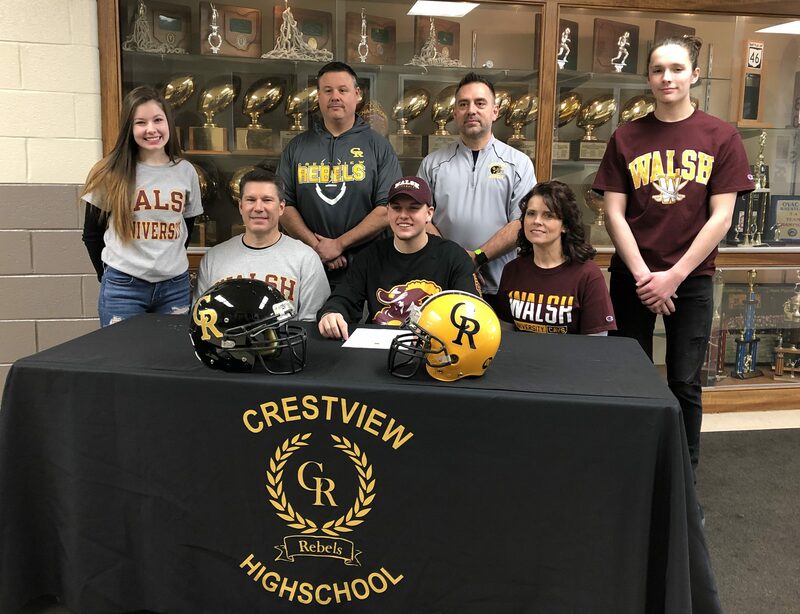 He’s going to trade in his musket for a pair of swords as he joins the Walsh Cavaliers in the fall. While Barr made the announcement on Twitter during last week’s signing day, he put the pen to paper this afternoon. Barr will join Coach John Fankhauser’s defensive side of the football, and serve as a playmaker in the Cavalier backfield. We caught up with Stephen following his crossing of the “t’s” for a quick breakdown of the process. We want to congratulate The Barr Family, as well as Crestview for producing a stellar product on and off the field. We at YSN wish you all nothing but the best! Go Cavs!